Pennsylvania Gov. 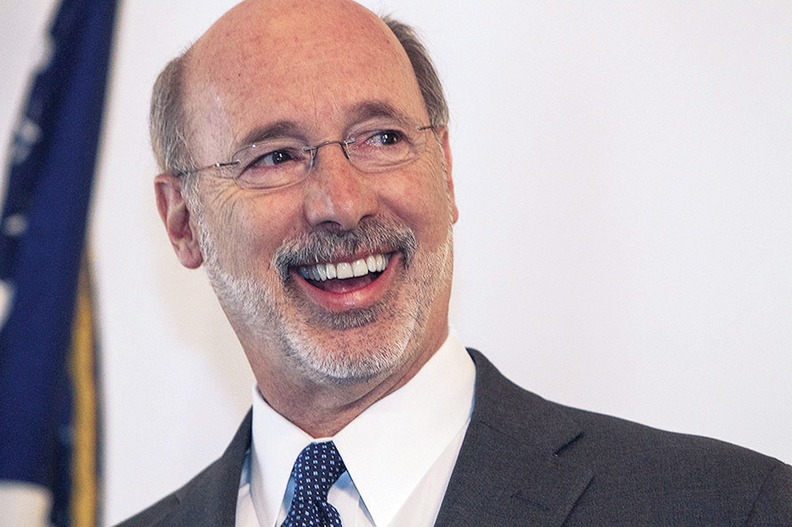 Tom Wolf started working to deliver on a campaign promise soon after taking office: dismantling his GOP predecessor's alternative Medicaid expansion. Some providers and patient advocates are concerned about collateral damage as 200,000 enrollees switch plans. State officials have said they hope to keep all of the enrollees with the same insurance carrier and move them to that company's HealthChoices plan. But the transition won't be simple. Healthy Pennsylvania pays providers more than HealthChoices. Not every insurance company that has a Healthy Pennsylvania plan offers a HealthChoices plan, and not all those that do offer both in the same areas of the state. This is a problem because Pennsylvania is broken up into coverage regions were only certain plans can offer Medicaid coverage. Reimbursement is a key concern for many stakeholders, including the state. Originally, the Corbett administration pushed for Healthy Pennsylvania rates be near the levels paid by private plans in an effort to woo providers. The CMS didn't approve that request, but the state still ended up paying providers more than they're paid under HealthChoices. Officials from the state, insurers and provider groups declined to quantify the difference. The Hospital & Healthsystem Association of Pennsylvania, meanwhile, hopes that Wolf's transition plan "assures adequate payments to health care providers serving Medicaid beneficiaries and providers are able to negotiate their contracts with the managed care companies,” said Andy Carter, the association's CEO. Patient advocates are concerned about the adequacy of provider payments, too, and sent a letter on Monday to the Wolf administration asking him to consider having the state continue the enhanced Medicaid rates primary care offered temporarily by the federal government under the Affordable Care Act. “Coverage opens the door to care, but patients must be able to get inside, and be seen in a reasonable amount of time without having to travel unreasonably far,” Pennsylvania Health Access Network, a statewide healthcare coalition, said in the letter. The transition also means that beneficiaries are at risk of either losing access to care or having to change providers because of their plan selection. For now, it looks as if those enrolled in Capital BlueCross will have to select a new plan because the company does not have HealthChoices contract. It is unclear if Capital BlueCross will attempt to get a HealthChoices contract. “We continue to discuss potential next steps with the PA Department of Human Services,” company spokesman Joe Butera said. The state has yet to offer guidance on how officials will handle instances in which a carrier's plans in each program don't overlap in a geographic area, said Michael Rosenstein, who coordinates the Pennsylvania Coalition of Medical Assistance Managed Care Organizations, an association of the state's Medicaid plans. Despite these issues, many beneficiaries are likely to have better access to care after the transition. That's because Healthy Pennsylvania plans had only a short time to establish networks, as a result they are much smaller than those for HealthChoices, said Antoinette Kraus, director the Pennsylvania Health Access Network. “The biggest problem area was really behavioral health, especially for issues related to drug and alcohol abuse,” Kraus said. In the coming weeks, the state will close the Private Coverage Option to further enrollments and submit a waiver to the CMS that will create a single benefits package for all adult beneficiaries on Medicaid. In addition to the one offered under Healthy Pennsylvania, two are now offered under HealthChoices.